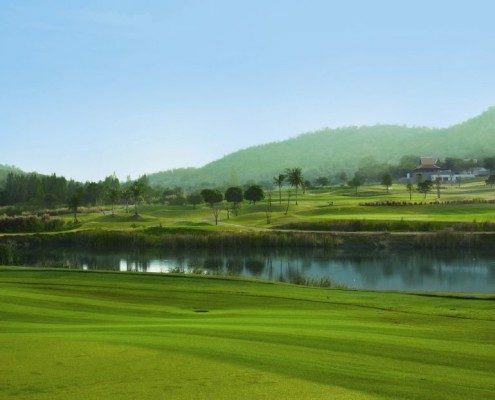 Named third best course in Thailand at the annual Asian Golf Monthly awards November 2011. 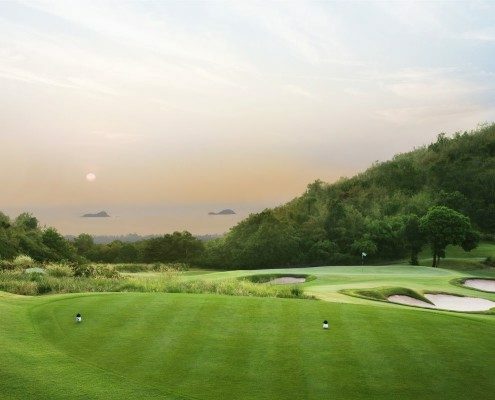 Named Best Clubhouse in Asia Pacific at the Asian Golf Monthly awards, 2012. 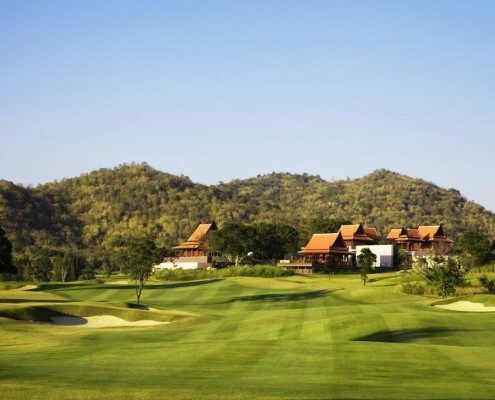 GETTING THERE: About two-and-a-half hours by freeway from Bangkok, or, a mere 12 kilometers from Hua Hin town. 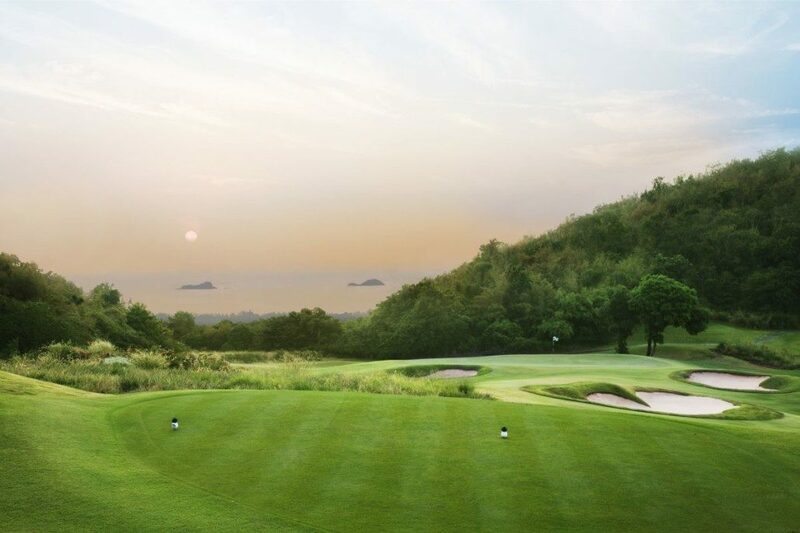 SEA OF DISTRACTION: The short, par-3 15th is anything but a bargain, featuring stunning views of Koh Sai in the distance, coupled with a shallow green guarded in front by a deep trap. 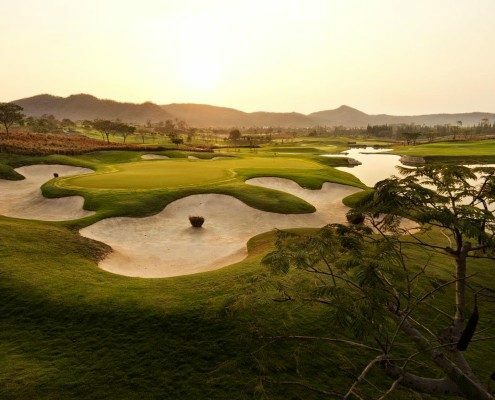 This hole will test anyone’s mettle. 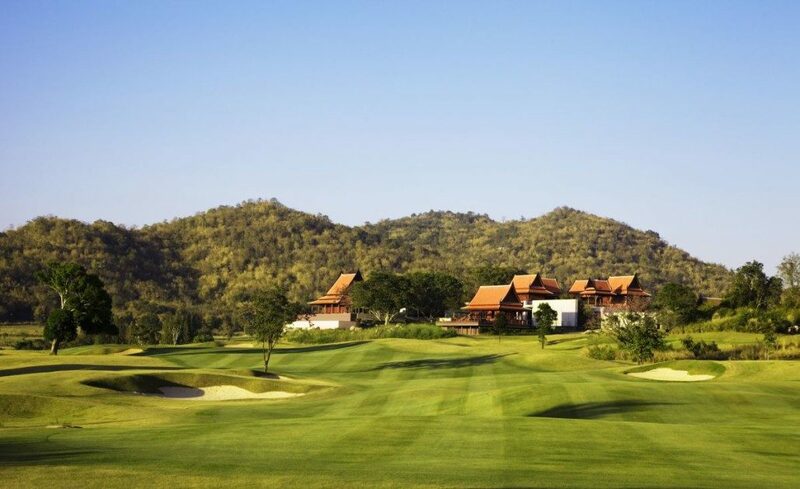 LEGENDS OF THE GAME: Banyan GC was designed and constructed by GolfEast, a team of architects that led the Thai golf boom of the 1980s and 90s. 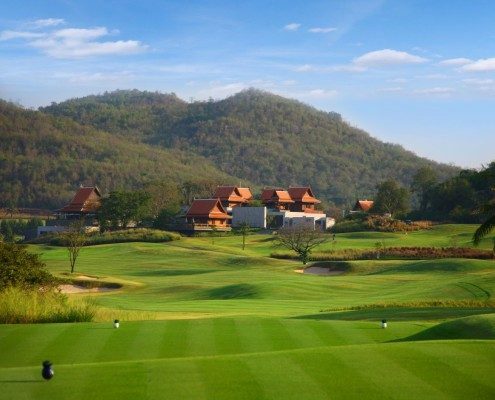 Pineapple patches, bougainvillea beds and, of course, Banyan trees come into play on this hillside course just outside the charming coastal town of Hua Hin, which for almost a century has been the preferred holiday retreat of the Thai Royal Family. 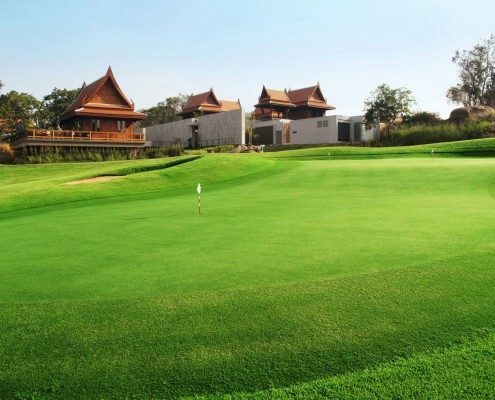 The course is fit for a king too, nestled as it is in a mostly-enclosed, bucolic bowl without a home or resort in sight. 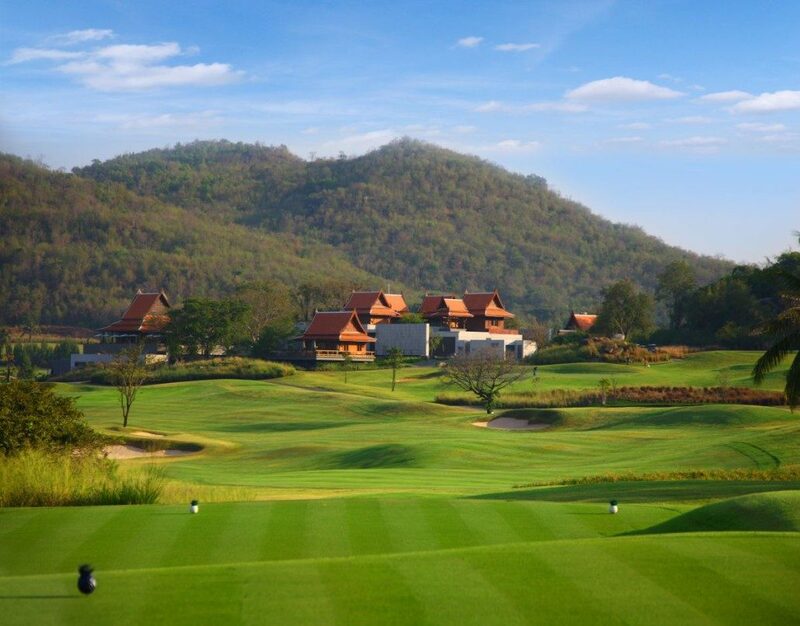 The clubhouse, situated on the highest part of the property, offers stunning vistas (especially at sunset) of the Burmese Mountains, while the layout itself provides golfers an undulating journey as difficult as they want it to be. 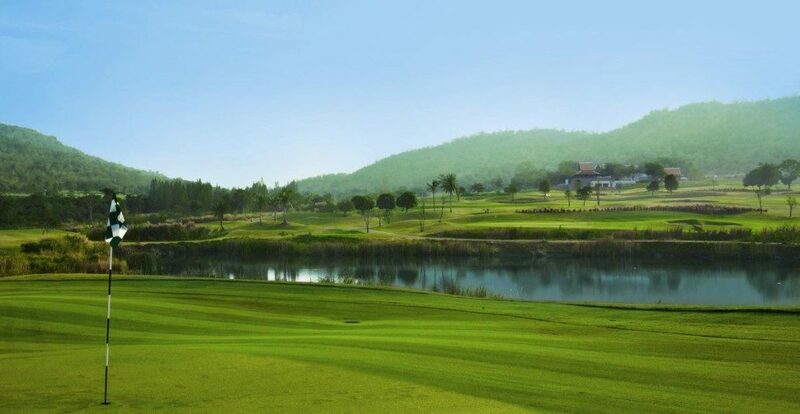 Four sets of well-spaced tees mean the course plays anywhere from 5087 to 7361 yards. 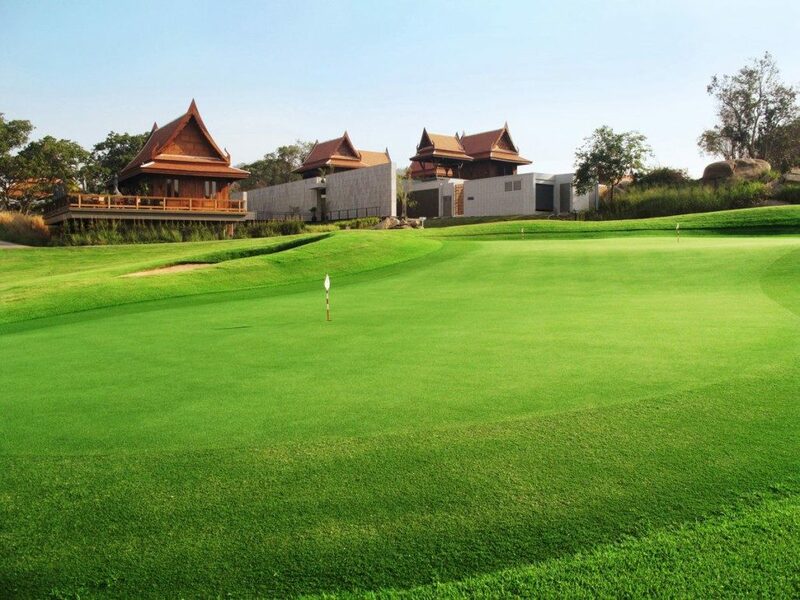 Four types of grasses have been used on this wonderful layout, which is exquisitely maintained despite its youth. 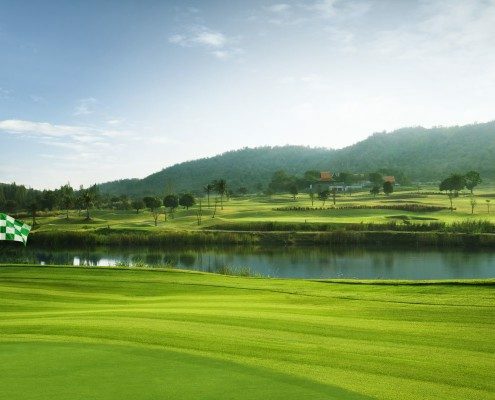 (The course opened on October 1, 2008). 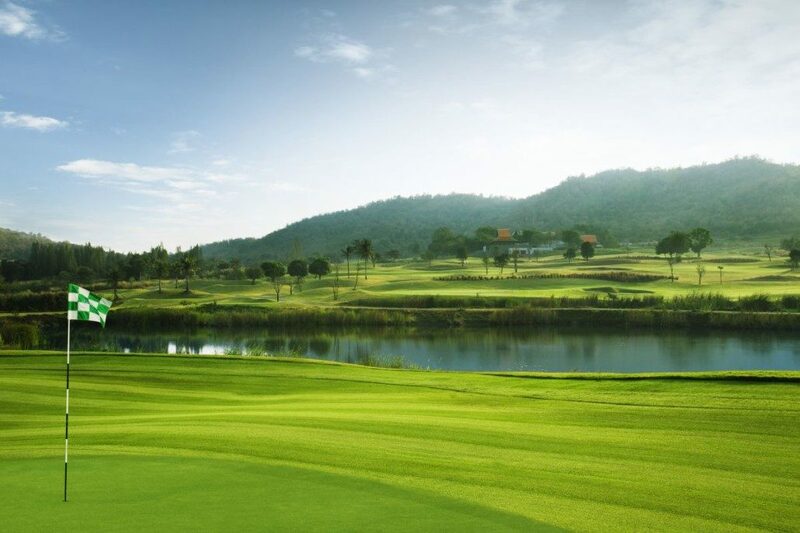 If your playing partners don’t allow you any mulligans, take solace at the club’s comfy watering hole, Mulligans, where you’re encouraged to have another..
Visit Banyan Golf Club on Golfasian.com for more details.